KENSINGTON TOURS - China, South Africa, Iceland, Galapagos, Golfing, Tanzania & More with 21st Century Renowned Explorers !!! 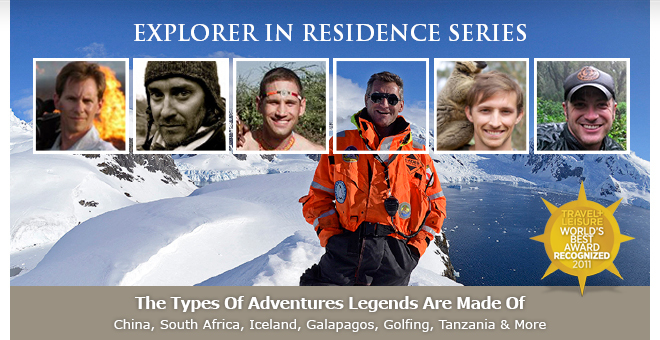 China, South Africa, Iceland, Galapagos, Golfing, Tanzania & More with 21st Century Renowned Explorers !!! Cina, Juzna Afrika, Island, Galapagy, Golf, Tanzania & Viac v sprievode Znamych Ceswith 21st Century Renowned Explorers !!! 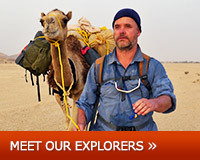 The Explorers-In-Residence Series from Kensington Tours offers the unique and enriching opportunity to travel with the 21st Century's most accomplished explorers on thrilling in-depth expeditions to the most fascinating places in our world. 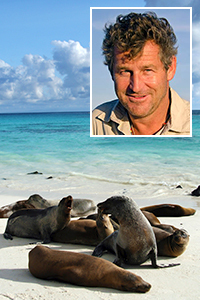 These exclusive small group tours (6-16 travelers) are guided by celebrated Fellows of the Royal Geographical Society and Explorers Club, renowned researchers, television personalities, and other leading adventurers. Each itinerary has been designed by the hosting Explorer together with Kensington's destination experts for a perfect fusion of rare and rich experiences, adventure and luxury, off the beaten-path surprises and bucket list favorites. The itineraries are woven together with the incredible knowledge, deep cultural connections and fascinating story-telling of each explorer. Featuring privileged insider access, life changing encounters, and extraordinary moments found nowhere else, these adventures are truly the stuff legends are made of. Kensington's growing team of renowned Explorers in Residence are also available for private departures with fully customized itineraries perfect for families and groups of friends traveling together. Watch for more Explorers In Residence Tours to come - Belize, India, Uganda & more. Live the legends of the Silk Route, fabled Tea Horse Road & ancient dynasties with this elite expedition showcasing China & Yunnan's Shangri-La, led by author & explorer, Jeff Fuchs. A renowned expert in indigenous mountain cultures, oral histories, tea, Chinese history & age-old Himalayan trade routes, Fuchs has been featured by everything from National Geographic Traveler to UNESCO. Unveil the mysteries of China as you tour Beijing, Xi'an, Lijiang, Shanghai & Yunnan province's Shangri-La, stopping to learn from historians, famed artists, internationally known journalists & global experts along the way. Prepare to be amazed from classics such as the Forbidden City, Great Wall & Terra Cotta Army to off-the-beaten-path secrets like artisanal workshops, elders of the Tea Horse Road, Buddhist blessings, local breweries, gourmet feasts, alpine hikes & Tibetan village visits. 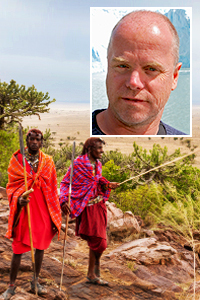 Watch the legends of Africa come to life on this safari through Kenya & Tanzania led by Mikael Strandberg, known to The Explorers Club as "The best contemporary explorer in the world." Having lived amongst the tribes of East Africa, Strandberg is no stranger to these amazing people, the mysteries of the bush & the creatures making up Africa's iconic circle of life. Delve into the wonders of the "Kingdom of Lions," the Masai Mara, "Africa's Eden," Ngorongoro Crater, "The Cradle of Mankind," Olduvai Gorge & the Serengeti during Africa's fabled Great Migration. Led by Strandberg, enjoy voluntourism visits, heartwarming experiences with the Masai & spot lions, elephants, leopards & more. Complete with safari camps & lodges, thousands of animals, once-in-a-lifetime cultural encounters & your world renowned explorer guide, there is no finer way to experience the magic of East Africa. 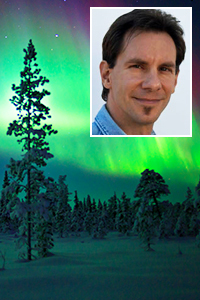 Led by explorer, scientist & renowned Discovery Channel TV personality, George Kourounis, embark on an adventure to the natural phenomenon located at top of the world. Step into Iceland's Arctic Circle, a realm of ice, fire & northern lights with a man referred to as the "Modern Day Indiana Jones." Give into the call of the wild as you safari through the Golden Circle to mighty geysers, hike up fiery volcanoes, descend into underground caves, live the legends of Vikings, trek blue glaciers, visit remote villages & spend each evening watching what is predicted to be the finest displays of Northern Lights the 21st century has ever seen. Relax in the healing waters of the Blue Lagoon, enjoy natural steam baths & swim in open-air pools. Infused with Kourounis' passion & insight & complete with interactive presentations, behind the scenes access to the Aurora Reykjavik, this adventure is truly extraordinary. 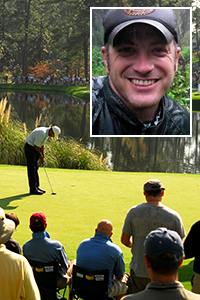 Walk the hallowed greens of Augusta with the world's finest golfers on the most legendary Sunday in Golf led by Lee Abbamonte. 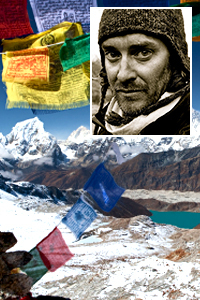 American travel expert, writer, TV personality, explorer & sporting connoisseur, Abbamonte has visited every country in the world & frequently attends the most prestigious sporting championships - making him the perfect guide for a winning adventure. Tee off your experience with an exclusive cocktail party at the Ritz Carlton Buckhead, enjoy police escorts, escape the crowds at VIP reception facilities, play a round at the Great Waters course & Oconee course, unwind at the spa & find the perfect spot around the 18th hole for Sunday's final round. This bucket list adventure features elegant Ritz-Carlton Hotels & unparalleled access to 1st class hospitality. Make 2014 the year you experience this "tradition unlike any other." Discover the wilds of the Galapagos Islands & Ecuador's tropical cloud forests through the lens of your camera with world renowned photographer, Jonathan R. Green. With photographs featured in everything from Time magazine to BBC Wildlife, learn from Green as you capture Darwin's legendary isles. Unveil the secrets of nature photography during hands-on workshops, presentations & underwater photo safaris. Snorkel with marine creatures, spot whales on zodiac rides, visit the Darwin Research Station & stargaze under the equatorial sky. A trained naturalist, Green will guide you effortlessly through this world of giant tortoises, iguanas, penguins & blue-footed boobies. Next, follow Green into the realm of the rainforest with jungle walks, night photography, sky biking & countless other activities. Featuring a luxury yacht, gourmet cuisine, luxury properties & much more. Uncover a bizarrely beautiful world of leaping lemurs, baobab trees, carnivorous plants, tropical rainforests & perfect beaches as you travel through "The Eighth Continent" led by primatologist, Travis Steffens. Guided by Steffens, head deep into the heart of Madagascar's rainforests in search of fosa, golden bamboo lemurs & more. 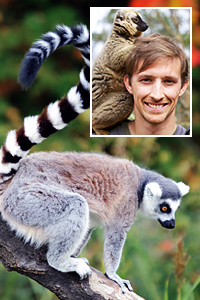 Having lived, worked & studied in Madagascar, Travis has a deep knowledge of the customs & culture of this exotic world. Contribute to local developments, explore ancient anthropological sites, go wild on safaris, dine with locals, watch a traditional Betsimisaraka show & so much more. End with kayaking, snorkeling & swimming in a remote jungle hideaway. Adventure & life changing experiences await around every bend. Follow in the footsteps of the great explorer Dr. David Livingstone as you learn about his life & 19th century expeditions while on safari through South Africa, Botswana & Zambia. 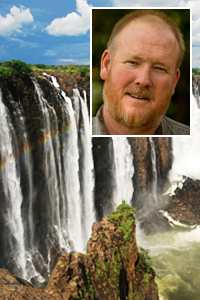 Head out in search of the "Smoke That Thunders" led by famous Livingstone & African history expert, Russell Gammon. A distant descendant of this bygone scientist & explorer, Gammon is a legend in his own right. Enjoy a modern day take on Livingstone's adventures complete with Gammon's fascinating insights, incredible knowledge & storytelling. Packed with adventures, you'll climb Table Mountain, visit a missionary project, see Mandela's prison cell, marvel at the Makgadikgadi Salt Pans, trek with Kalahari Bushmen, visit Chapman's Baobab, go wild on safaris & end over the rainbow in Victoria Falls. With exotic properties, inspiring lectors, behind-the-scenes access & more, this is a transformational experience like no other. Give in to the call of the wild on this Alaskan cruise through the Inside Passage's Eastern Coves. Disembark for tours by kayak, skiff or foot. Hike mountains, glaciers & beaches. Animal safaris include eagles, moose, sea otters, seals, whales & bears. There is no finer way to behold the wonders located at the tip of the world than from this small luxury ship complete with naturalist guides, gourmet chef, iPod docking stations, fishing guide, hot tub & even yoga! Plunge into the planetâ€™s most spectacular marine paradise on this stylish small ship Australian cruise. From rainbow sunsets, glass bottom boat rides & beachcombing to scuba diving, snorkeling, safaris & sumptuous meals, this experience is as adventurous as it is relaxing. A vibrant kaleidoscope of sea creatures & coastal creatures await, spot giant sea turtles, dolphins, crocodiles, a colorful mosaic of fish & maybe even a wallaby or kangaroo! "I am so happy that I used Kensington to help with my dream trip to Cape Town South Africa. I was looking for a well-respected company that planned private guided tours that was not going to cause me my leg. I begin searching companies by reputation & value. I narrowed it down to Kensington because of the quality & value. I felt taken care of prior to my departure due to the detailed itinerary. From the time of got off the plane to the time I headed back to the states, I was in excellent hands. The service was EXCELLENT! I will definitely use Kensington again. Certainly, a trip of a lifetime!" Kensington Tours, 2207 Concord Pike, # 645, Wilmington, DE 19803 USA. All prices are USD per person based on double occupancy, subject to availability, dates travelled & applicable to new bookings only. Other conditions may apply, please refer to website. Copyright © 2013 Kensington Tours.